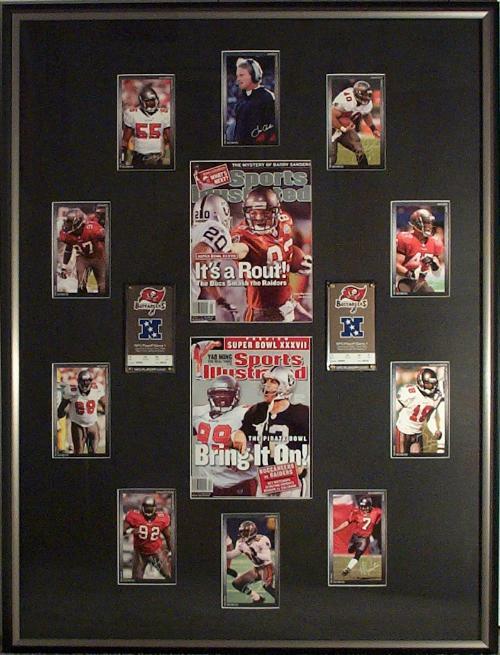 The picture below contains Buccaneer collectibles I had framed in honor of Super Bowl XXXVII. Feel free to click on any of the images in the picture for a bigger view. 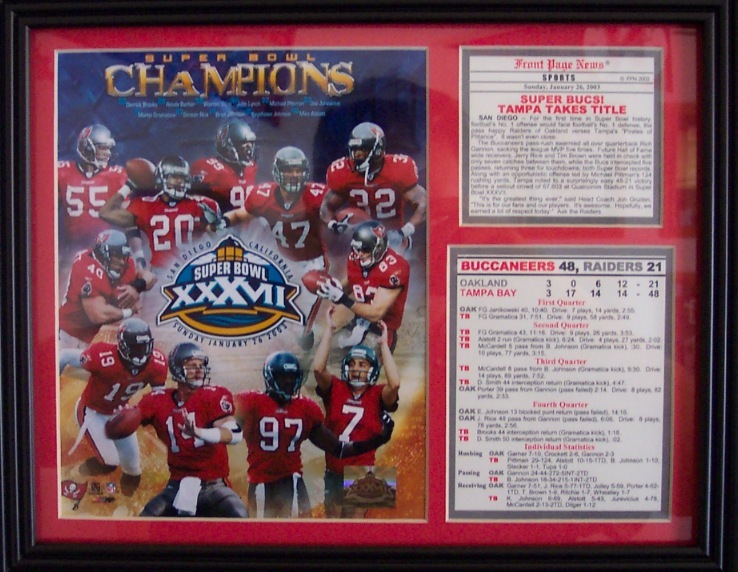 This picture contains my original playoff tickets from the Tampa Bay vs. San Francisco game, Sports Illustrated issues pre and post-Super Bowl and autographed collectible cards signed by the Buccaneers that came with my season tickets. 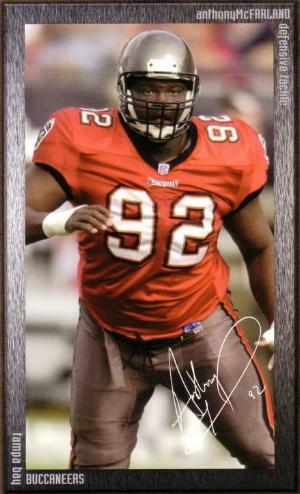 These cards include Jon Gruden, Derrick Brooks, Simeon Rice, Warren Sapp, Anthony McFarland, Ronde Barber, Martin Gramatica, Keyshawn Johnson, John Lynch and Mike Alstott. This leather Super Bowl commemorative football is a very nice addition to my collection. 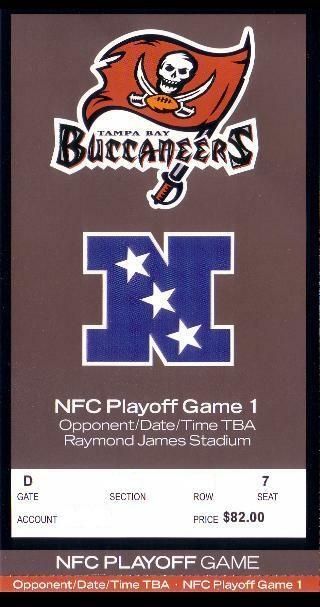 The front has the Super Bowl logo with the Buccaneers' flag and the score of the game. 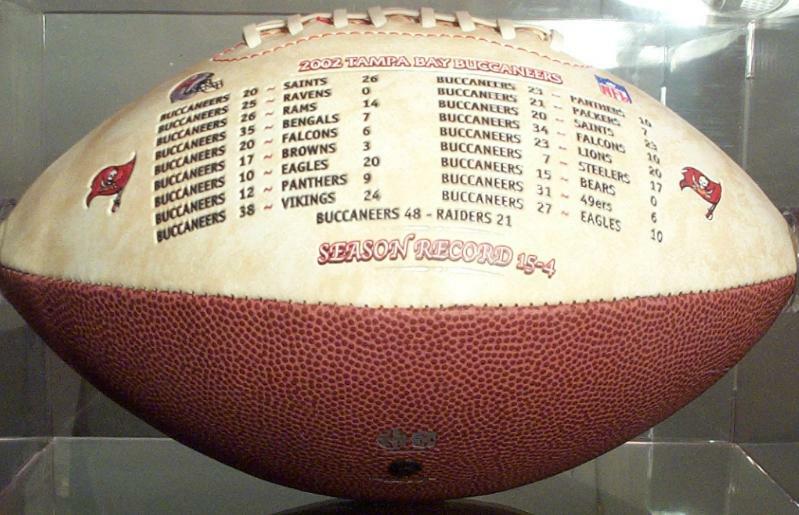 On the opposite side it shows the game scores for the season including the Super Bowl. 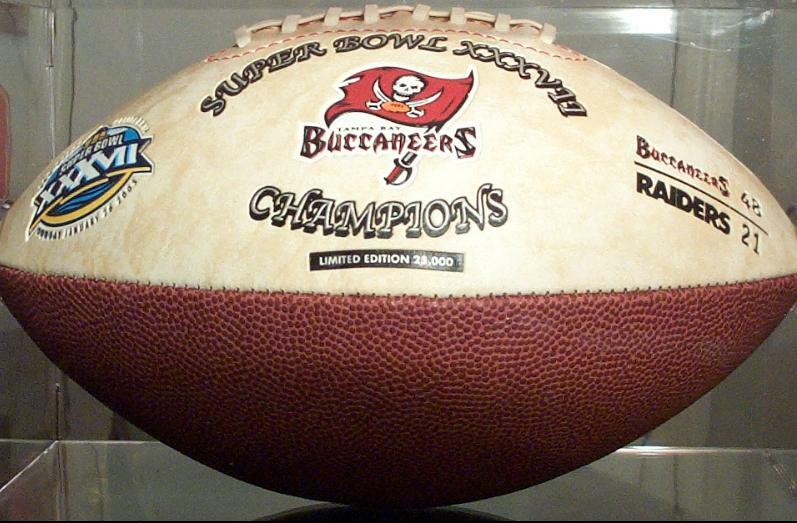 I've seen this football sell as high as $69 on the Internet, but you shouldn't pay any more than $25 for it. I've seen it at Publix for $23.95 and at Sam's Club for about the same price. Super Bowl XXXVII Championship video produced by Warner Bros. and NFL films is a must see for any true Buccaneer fan. 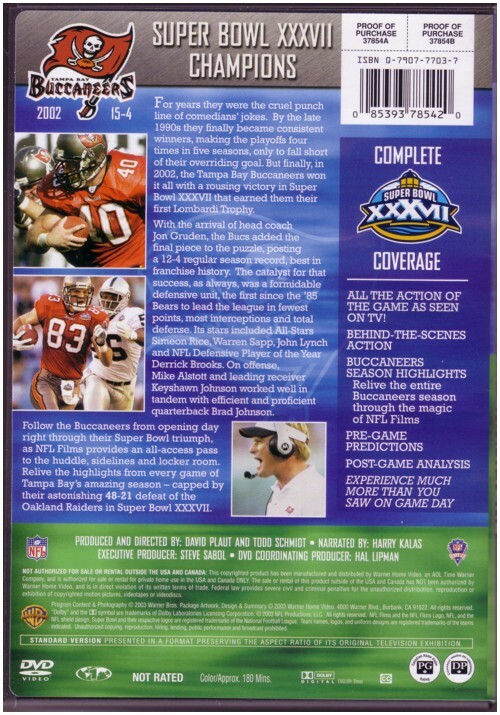 The DVD highlights the season as only NFL films can, taking you through the first game, the playoffs and the Super Bowl. It is very well put together. I found the TV broadcast especially appealing. They cut out all the commercials and the time spent in between plays and just showed the plays one after another. 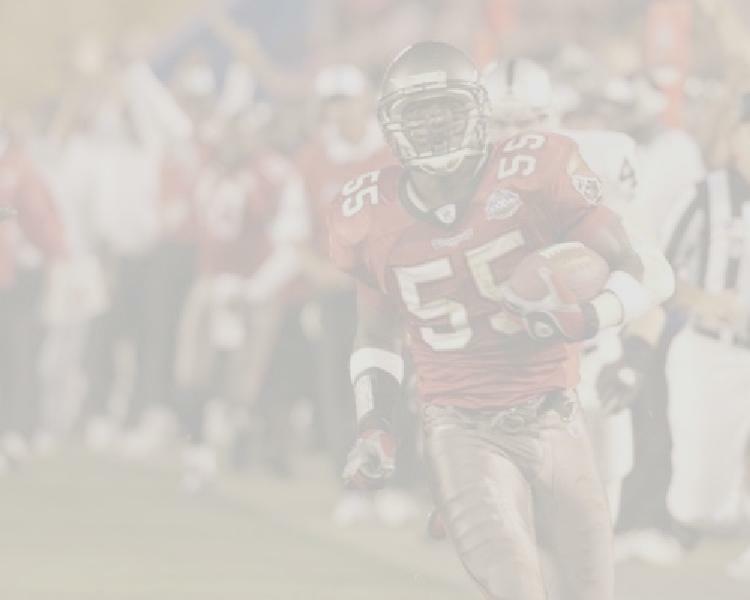 They went with the audio from the Buccaneers and Oakland Raiders radio broadcasts. Depending on who was doing well, was in direct correlation to which broadcaster was speaking at that time. 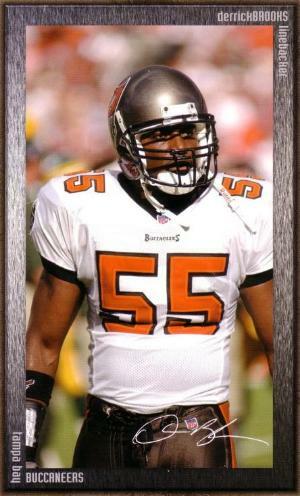 Needless to say, you hear Gene Deckerhoff, the voice of the Buccaneers about 90% of the game which shows how dominating the Buccaneers really were. On a scale from 1 to 5 for sports videos, I give it 5 stars. This video retails for about $19.95, but I've seen it as cheap as $16.95 at Sam's Club. 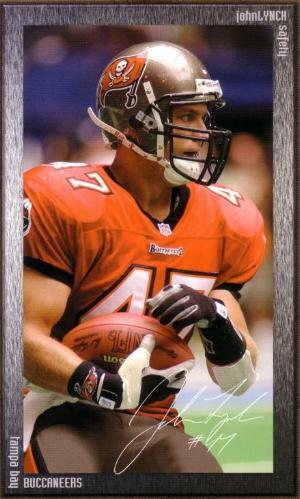 Sports Illustrated commemorative issue. 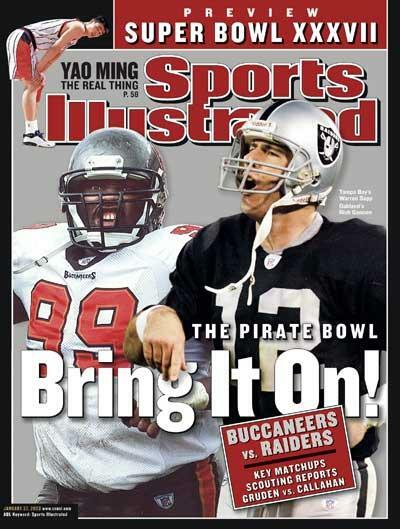 This issue has more pictures than articles compared to regular Sports Illustrated issues. 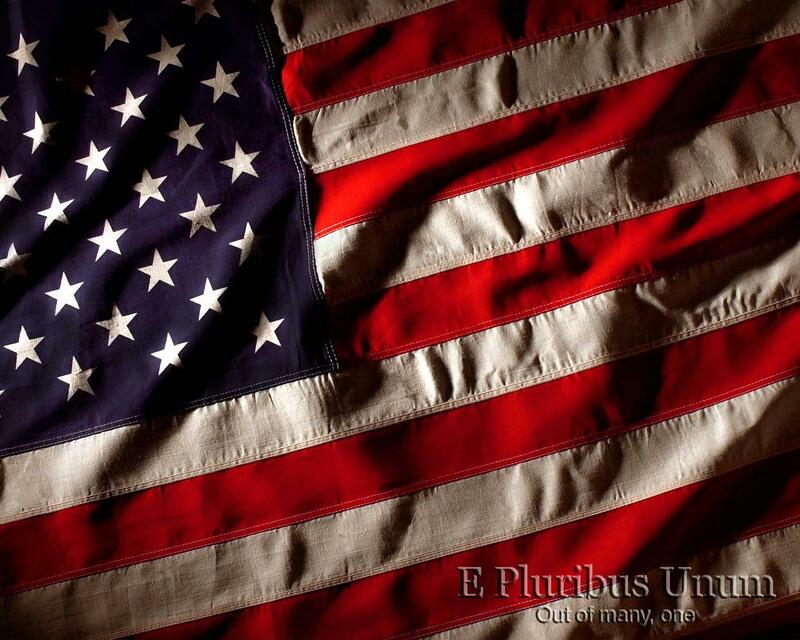 It is very well done and the articles it does have are well written. 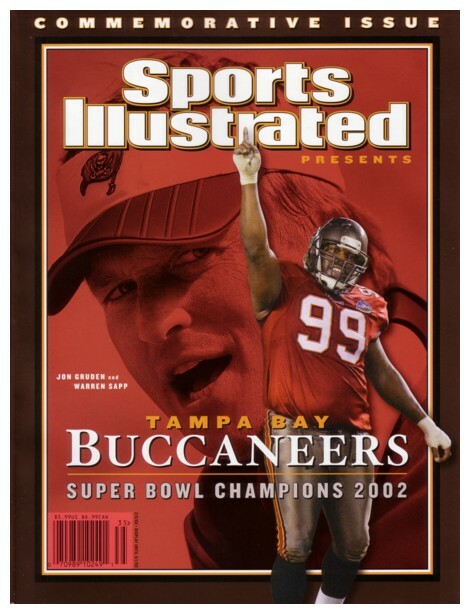 If you live in Tampa, this issue is everywhere, bookstores, grocery stores, gas stations, etc. 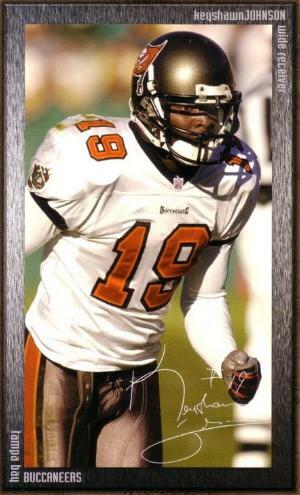 A leather bound version is also available through Sports Illustrated for $19.95. 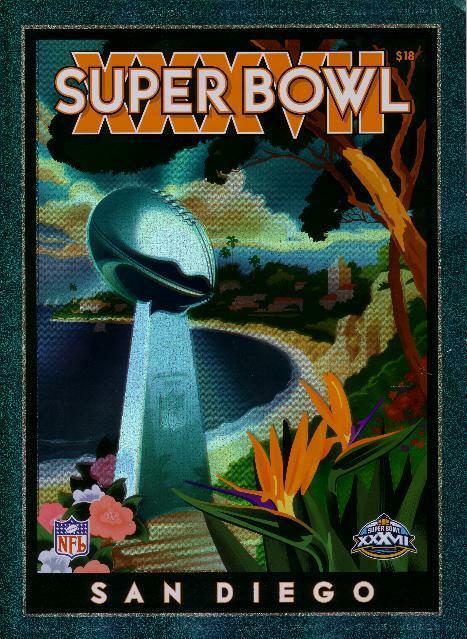 This is the Super Bowl 37 collector's edition game program. 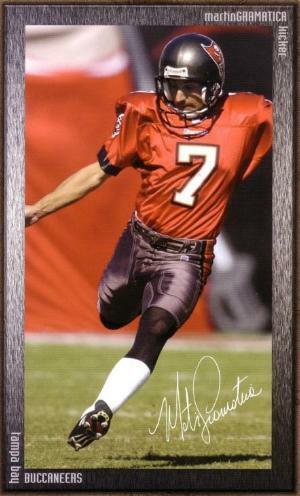 You can still purchase this piece of history on the internet for $18 at the NFL Shop website or even the Buccaneers' website. This program is also a holographic program that is being touted by e-bay sellers as extremely rare. I've seen them go as high as $65 on some auctions. Please don't get taken. If you pay more than $20 after shipping and handling, you have been cheated. The program makes for excellent reading with insightful stories on how each team made it to the Super Bowl. 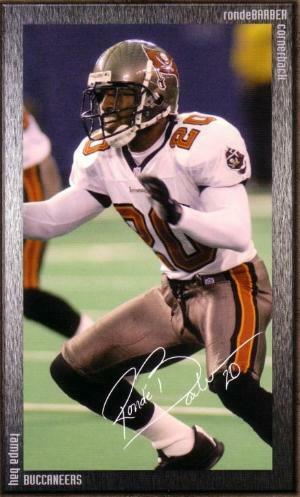 A must have for any Bucs fan. 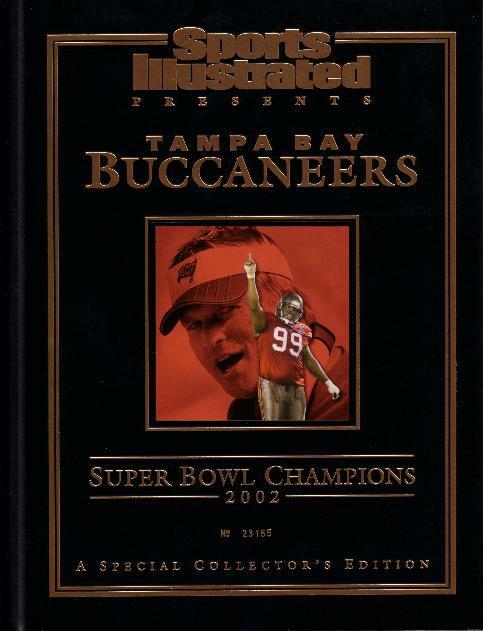 This special commemorative edition was put together by The Tampa Tribune. 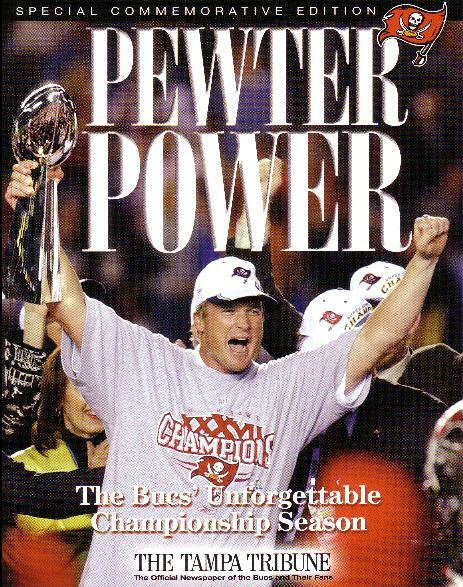 Its titled "Pewter Power: The Bucs' Unforgettable Championship Season." 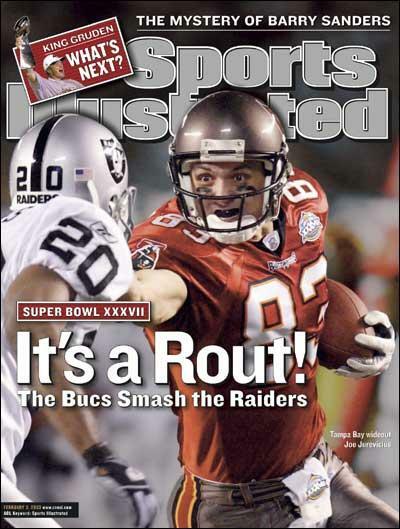 Its a very handsome pictorial and game by game summary of the 2002 championship run. It retails for $12.95 and is well worth the money. Both of these Buccaneers hats are must haves for any true fan. 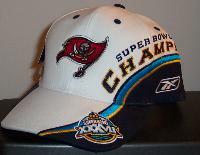 The first hat is the official Buccaneers Super Bowl hat. This hat is now hard to find. I have seen it go for as much as $120 on e-bay. 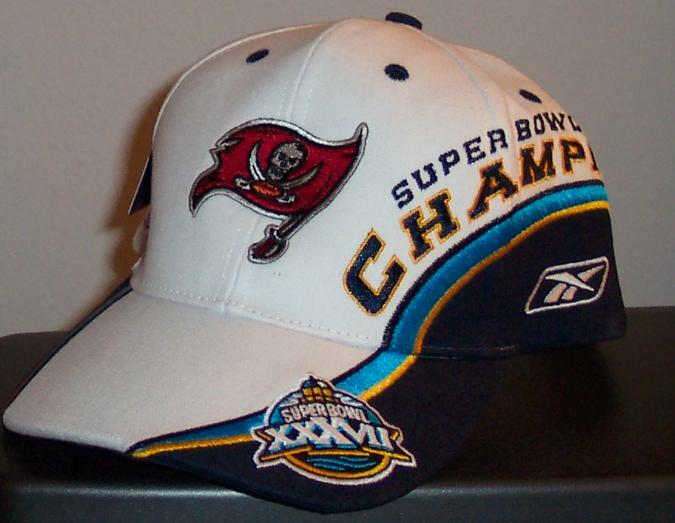 The next hat is the NFC Championship hat. 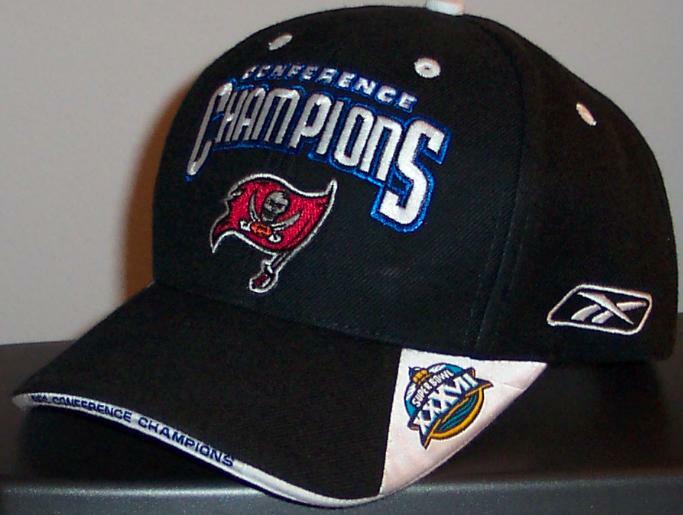 This is a very nice hat and in my opinion the best looking Buccaneer hat ever made. 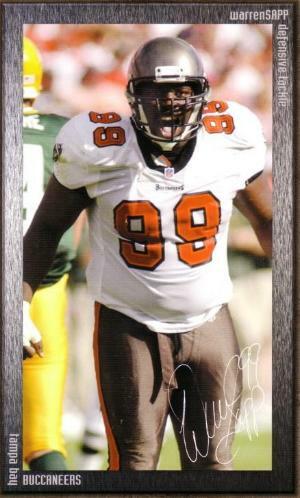 This is a great reminder of how the Bucs went into Philadelphia and defeated the Eagles. 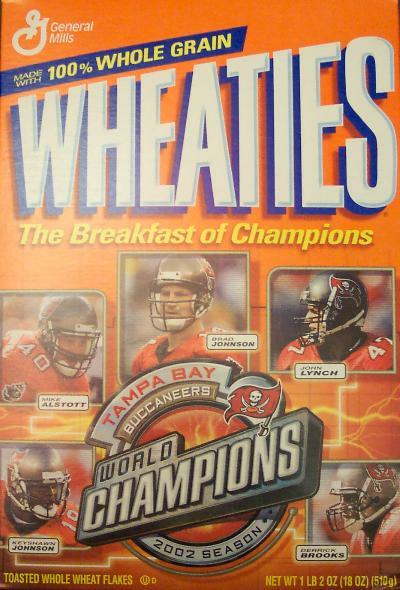 The Tampa Bay Buccaneers really made the big time after winning the Super Bowl by landing themselves on the front of the Wheaties box; in particular, Mike Alstott, Brad Johnson, John Lynch, Keyshawn Johnson and Derrick Brooks. Go ahead and cough up $3.95 and get yourself one. You'll kick yourself if you don't! 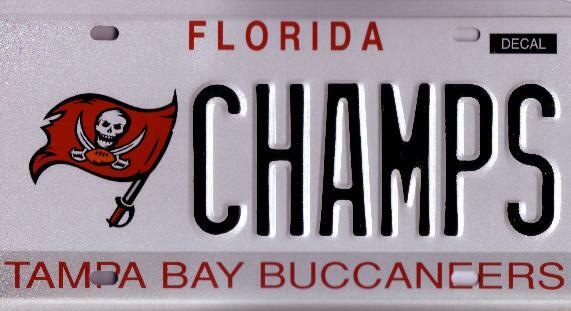 This is a 100% authentic Florida Tampa Bay Buccaneers license plate that was minted at the DMV. You cannot purchase this license plate anywhere. 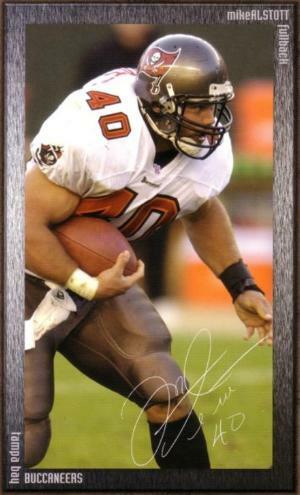 There was a small printing made of approximately 500 that were sold to employees only for $20. Please do not contact me about getting a license plate, I do not work for the DMV nor will I give up my source. 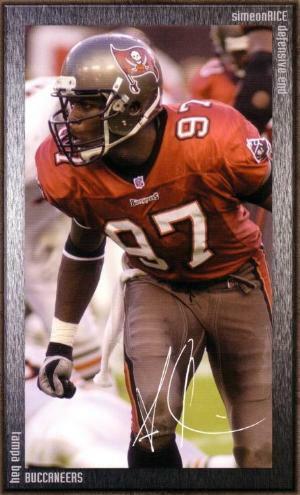 This has become one of my favorite Buccaneers collectible items and for the person who acquired this for me (and you know who you are) thank you very much. I love it! 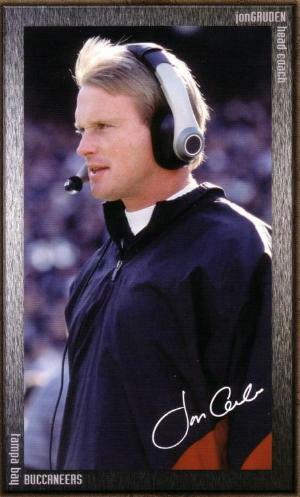 A plaque similar to this one (without the article) can be purchased for about $25. I got this one for $14 and purchased my own frame and did the leg work myself. I think it looks pretty good!